Bishopston and Horfield plantation shutters by Just Shutters, your local shutter experts. We are the premier company for Bishopston and Horfield plantation shutters in the areas and the surrounds, providing stunning interior shutters, exemplary service and a lifetime guarantee. 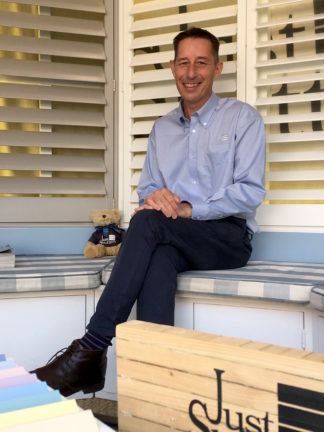 Husband and wife team Rob and Linda Reeves are your local shutter experts; they are on hand to listen, give expert advice and furthermore create the perfect shutter solution for your home or business. Call us now on 0117 370 1594 or alternatively you can follow the links below to download an inspirational brochure or book a home design visit. Shutters are a beautiful and highly practical solution that offers incredible light/shade control. They also give you privacy while allowing you to see out, making the most of any view. What’s more, shutters need little to no maintenance and do not warp or bleach with light or temperature. For awkward shaped windows and doors, even bays, there is no better solution. Made-to-measure, shutters make the most of any feature. 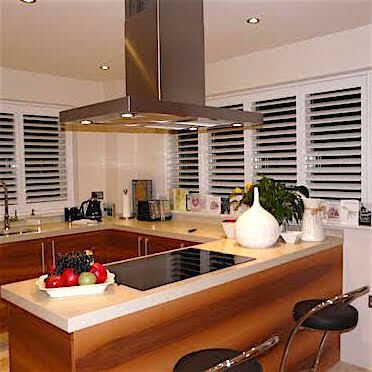 However, even regular windows can be instantly transformed into a design feature with our stunning shutters. – Not to mention long lasting – Just Shutters offer a lifetime guarantee! Beauty and practicality, value and quality! While shutters are often looked upon as a luxury product, they have a great deal of value to add to your home. They often enhance the value of a property as they stay with your home as a fixture at the point of sale. Not to mention estate agents agreeing they make a home easier and more attractive to sell. They also provide an extra layer of insulation to your windows or doors which can reduce your heating bills. Finally, they do not warp or bleach with sunshine or temperature so long after curtains and blinds would tatter or go out of fashion, shutters provide long lasting value. Rob and Linda are here to listen and advise on the very best Bishopston and Horfield plantation shutters for you. We are the leading experts in the field, and with ratings of 9.9 on Checkatrade, you don’t just have to take our word for it! Please see some testimonials below. We would be delighted to speak to you in person on 0117 370 1594 and answer any questions you may have. Alternatively please follow the links below and see what we can do for your home or business. Browse our stunning photo galleries to get your inspiration flowing! Then take a look at our extensive range of products and materials to see how shutters could suit your home. Very professional service. Prompt, no mess and excellent quality shutters. Shutters made to order and installed. Shutters across every ground floor window in the new kitchen.